Telluride Institute offers Two Literary Prizes: National Fischer Prize and Colorado Cantor Award. The Telluride Institute’s Talking Gourds poetry program has been hosting events, festivals, readings, workshops and contests for over 25 years. It’s proud to announce its annual Fischer Prize national contest with over $3000 in awards and travel stipends. And for Colorado poets, that includes a special $500 Cantor Award for the best poem by a Colorado writer who enters the Fischer Prize contest. Deadline for the contest is May 1, 2019. “Since Elaine Fischer was such a champion of the arts in Colorado,” said Talking Gourds co-director Art Goodtimes, “we wanted to reward Colorado poets with a special incentive to participate in the Fischer Prize. Last year Michelle Bitting, Poet Laureate Emerita of of Pacific Palisades (CA), took the top prize with her poem “Everything Crumbling Becomes Something New.” Jane Hilberry, who teaches as Colorado College in Colorado Springs, won the Cantor Award. She and other finalists included Jose Alcantara of Carbondale (CO), Clair Blotter and Devereaux Baker of California, and Elizabeth Jacobson of Florida. Judge last year was Santa Fe Poet Laureate Emerita Joan Logghe of Española, New Mexico. The Judge for 2019 will be Berkeley (CA) Poet Laureate Rafael Jesús González. 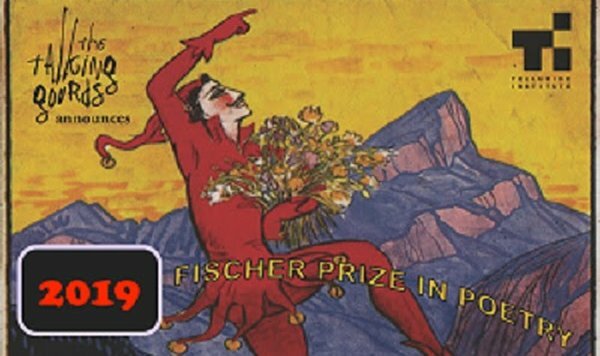 The Fischer Prize includes a $1000 first prize award, plus a $500 travel stipend to attend the May 17-19 Telluride Literary Arts Festival, where the awards will be made. Five finalists receive $200 each for their winning poems, plus $100 stipend each to attend the May event. In addition, a $500 Cantor Award winner will be selected from any Colorado poet among the finalists, or one whose poem is selected as the best among the Colorado entrants. To learn more about the Fischer Prize, click here. For contest rules and submission form, click here. Contest deadline is May 1, 2019.